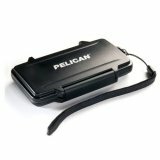 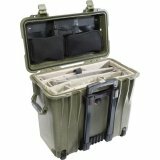 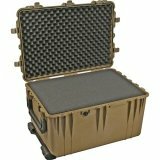 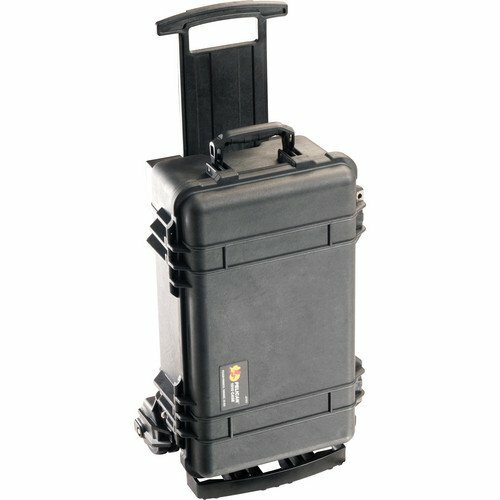 The 1510M Case from Pelican is an airtight, crushproof, dust and water resistant hard case for use in rugged terrain. 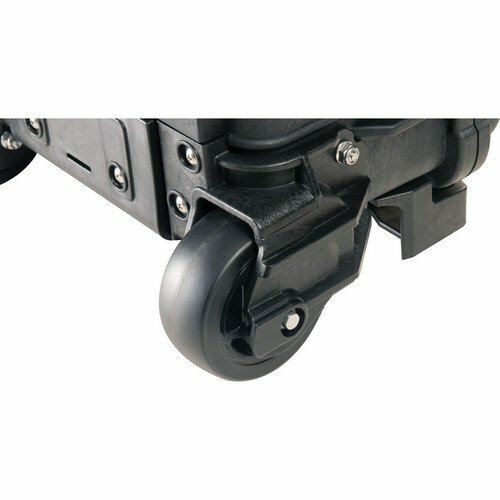 It includes a mobility kit which adds a retractable extension handle and a built-in dolly system with 4" polyurethane wheels and stainless steel ball bearings. 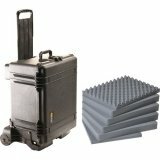 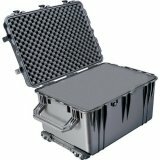 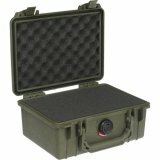 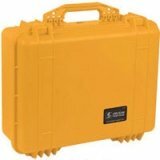 You can travel knowing that your gear inside this case is protected thanks to its solid polypropylene walls and watertight polymer o-ring seal. 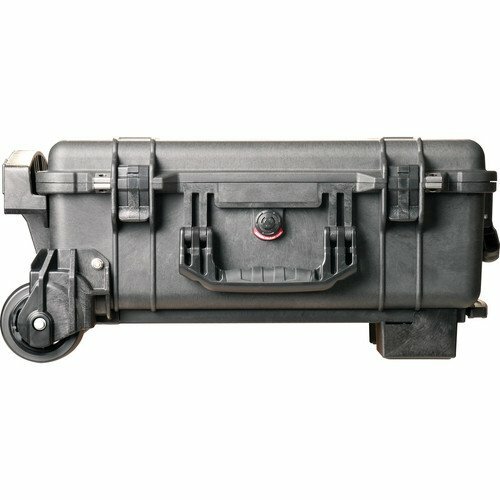 An automatic purge valve allows you to open the case after changes in atmospheric pressure at any altitude, making it suitable for air travel. 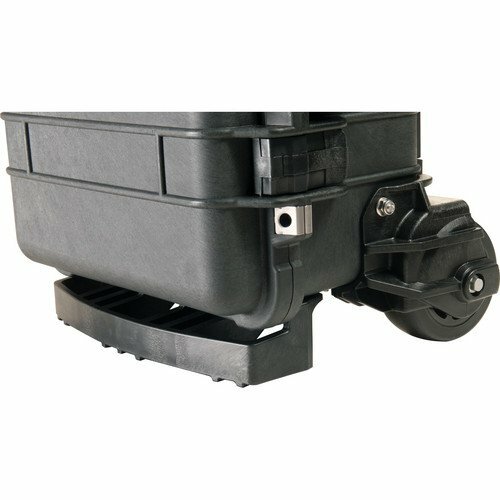 The double-throw latches on the side of the case can withstand almost 440 lb of pressure, yet allow you to open and close the case with a light push or pull. 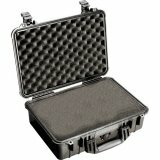 The Pick N Pluck foam inside the case allows you to custom fit your gear into the large compartment of the case. 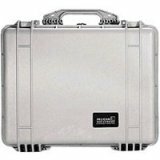 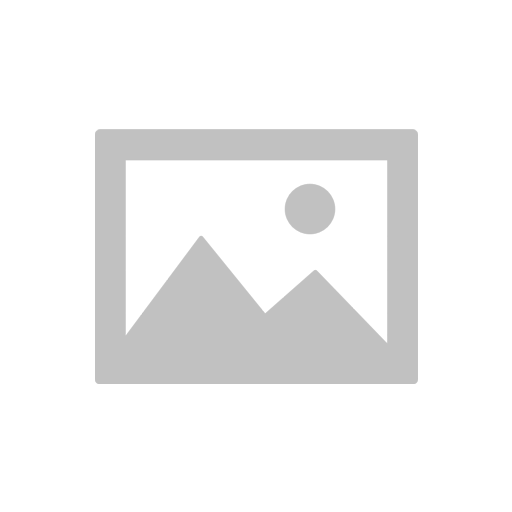 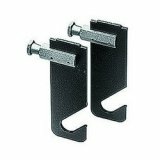 Stainless steel hardware and padlock protectors prevent corrosion while providing extra strength against theft. 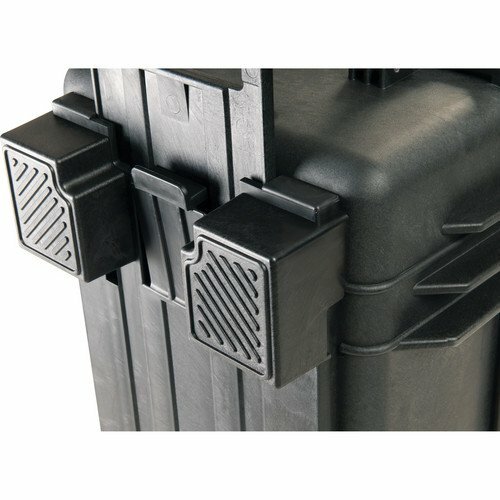 The automatic pressure equalization valve allows air to flow in and out of the case while still maintaining a waterproof seal. 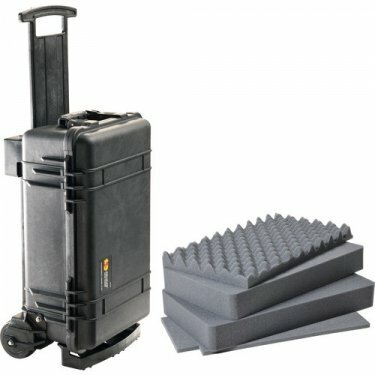 The 4-piece foam set consists of one "egg crate" foam upper section, 2 Pick N Pluck foam sections and one 1" blank bottom foam section. 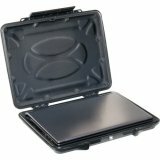 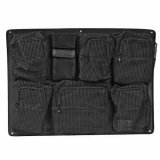 The Pick N Pluck sections allow you to customize the foam to snugly fit your gear into the case to maximize protection and minimize movement during travel. 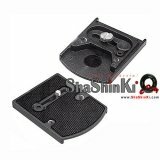 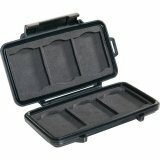 The top and side handles are over-molded with rubber for added comfort when carrying the case. 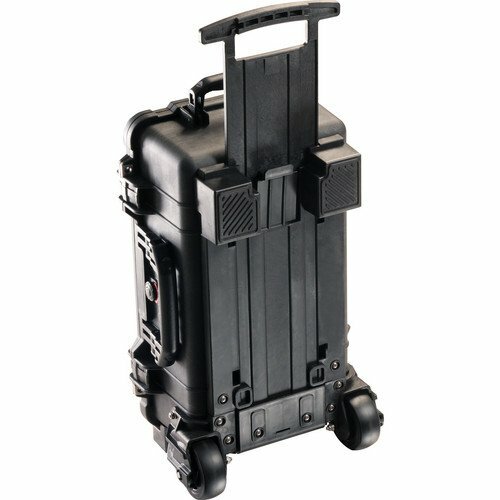 Stabilizing blocks are built-in so you can lay the case down flat when accessing your equipment. 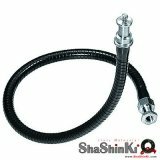 Withstands temperatures from -40 to 210°F.